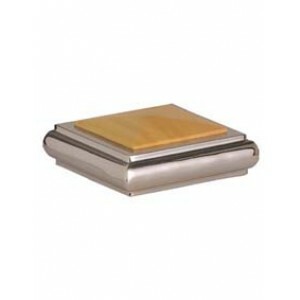 We have a stunning collection of metal newel caps with chrome finishes that are stylish yet still affordable. The chrome finish produces a particularly shiny texture to the metal, meaning it stands out and has excellent reflective properties. 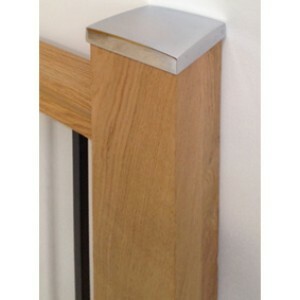 Our chrome newel caps include several designs of square cap, all ideally suited to standard size square newel posts, 90mm x 90mm. 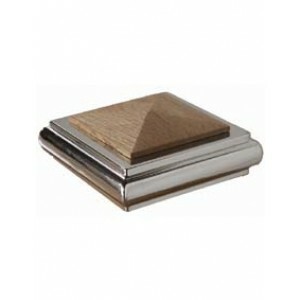 We have square pyramid newel caps that combine chrome finished metal with a choice of pine, oak or white timber. We also have square full newel caps and half newel caps that are all metal as well as a stunning ball design newel cap that offers something more decorative.